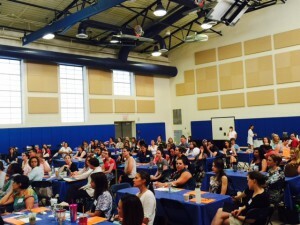 Attendees at this week’s Responsive Classroom conference. NEW GARDEN – This week more than 120 educators gathered at Kennett Consolidated School District’s (KCSD) Bancroft Elementary School to receive training on the Responsive Classroom (RC) approach. The conference’s goals include attaining greater teacher effectiveness, higher student achievement, and fostering improved school climates. 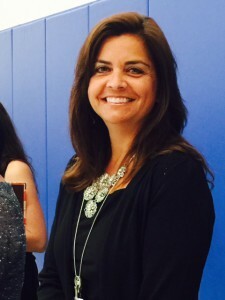 Bancroft Principal and conference host, Leah McComsey. Bancroft is the only school in the region selected to host the conference, which had attendees travel from a large and diverse geographical area. The Times spoke with attendees from North Carolina, Massachusetts, New York, New Jersey and Maryland; and learned that both private and public school representatives were present. KSCD has implemented various levels of the RC approach within its schools. McComsey reports that the RC methods are powerful; and she believes they are directly contributing to an increase in positive Bancroft student behavior and displays of respect children show toward their fellow students. 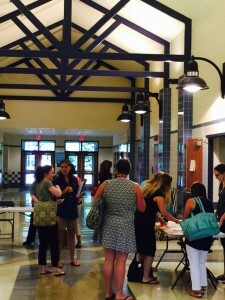 KCSD’s Bancroft elementary hosts a diverse group of conference attendees.